Based on its belief that hospitality can improve lives and also be good for the natural and cultural environments, the Muthoot Group embarked on a journey in 2001 to deploy its resources in the interest of entrepreneurial conservation. Simplicity, elegance, and tranquility were keywords accompanying the conservation objective, and this led to the Muthoot Group acquiring Xandari Resort & Spa, one of Costa Rica’s most successful properties. 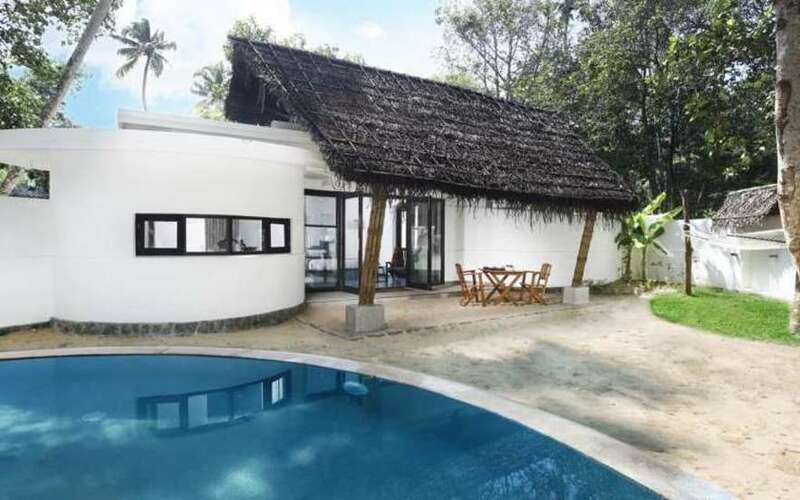 In India, the Xandari handprint is emblazoned in Kerala - at a waterfront boutique destination in the spice trading district of Mattanchery and a private beach hideaway on the pristine sands of Mararikulam beach. Now, MLHS is set to pioneer a sustainable chapter in tourism with its crown jewel — Xandari Reserve set on 2,000 acres of forest area just north of Goa. Xandari destinations across the world are partnerships with local communities - to conserve, protect and replenish the environment. From the harbour-front of Fort Kochi to the valleys of Costa Rica, the Xandari story is a testament to nature’s ways, soul of the land, and people’s faith. Welcomed by a Kerala Travel Centre representative at the airport and drive to Cochin. 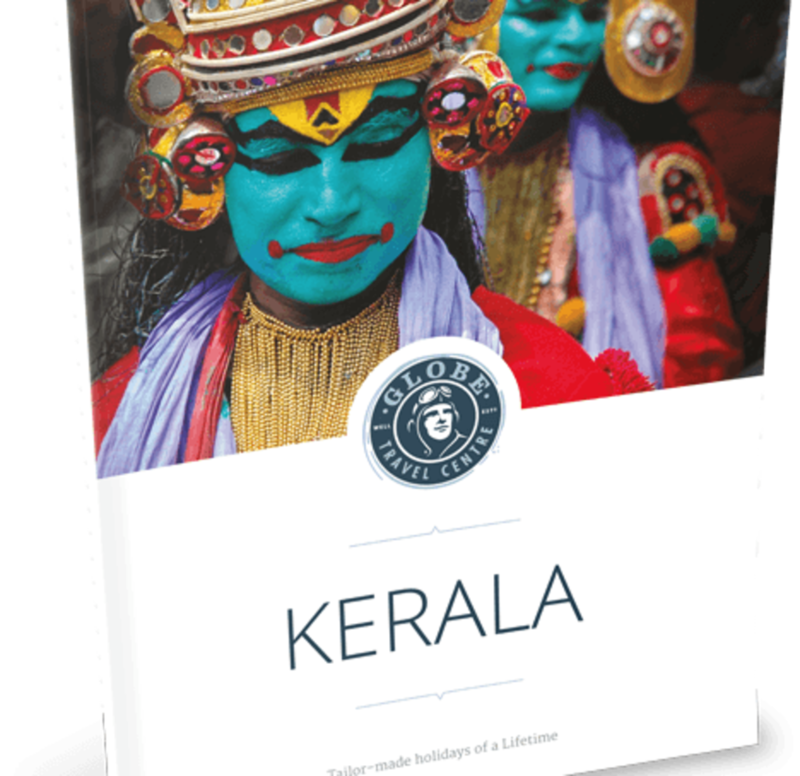 Cochin, or Kochi as it is now called, offers you the best of history and culture anywhere in the state. A port town since early centuries, Cochin attracted traders and invaders from the world over. You can see snippets of the different eras and influences in the many attractions in Cochin. 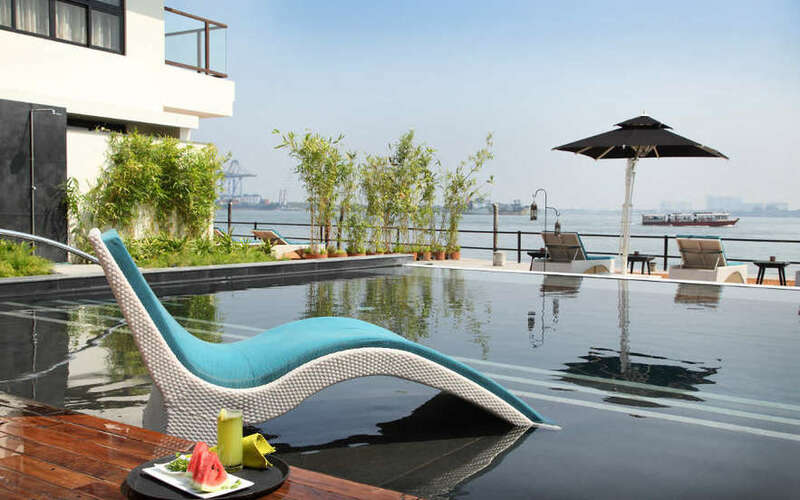 The town is broadly divided into two areas - Ernakulam, the bustling cosmopolitan metropolis and Fort Cochin, the cultural hub where the hotel is located. Step out of the hotel and you are within walking distance of other attractions like the Chinese fishing nets, said to have been left behind by Chinese traders in the 15th century. In the evening, go for a relaxing sunset cruise. Overnight at the Xandari Harbour hotel with a vehicle at your disposal. Go for a sightseeing tour to explore the many fascinating highlights of Cochin; including, the Jewish Synagogue; St. Francis Church, the oldest European Church in India; the Santa Cruz Basilica, which was built in 1557 by the Portuguese; the Dutch Palace; the Spice Market; and the 15th century Chinese fishing nets believed to have been brought by Chinese traders. In the evening, visit an auditorium to watch the famous, traditional dance drama of Kerala, the Kathakali. This dance is characterised by intricate storytelling, amazing costumes and extensive make-up. Drive to Pallathuruthy in Alleppey and embark on your private houseboat to cruise the backwaters, a splendid area full of canals, lakes and coves. Your houseboats, or Kettuvalloms, are luxurious boats with well-appointed bedrooms and ensuite bathrooms. Apart from the mesmerising surroundings, it’s the life along the coast that adds a touch of exotica to this experience. The locals travel in canoes and you will find vegetable sellers, fishermen and other traders bringing household goods door-to-door in small, wooden boats. As you cruise along the backwaters you can ask your captain to stop at villages, paddy fields and other places, en route. Overnight on board with full board and a vehicle for your transfer to Alleppey. Note: As per government rule, the boat will be anchored from 06:00 pm to 07:30 am. 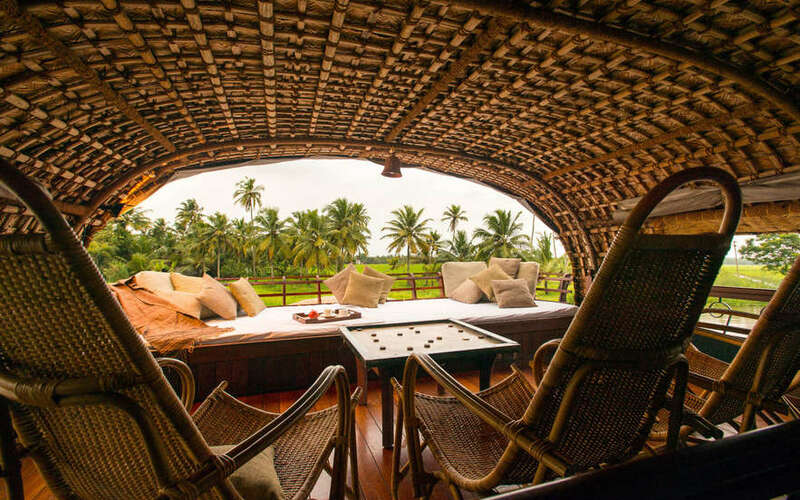 Disembark from your houseboat at Kumarakom and drive to Periyar an area known for its undulating hills, spice plantations, and elephant sightings. One of the 27 tiger reserves in India, the Periyar valley in Thekkady is the oldest. Check into your hotel. Go on a spice plantation tour today where you will be enticed by not only the aroma of spices like cinnamon, cardamom, pepper and nutmeg but will also get to know how they are grown, harvested and processed before they reach the supermarkets. It is also possible to go for an Elephant ride today. Overnight at the Cardamom County. Half day guided trekking in Periyar. This is a conservation-oriented hard trek taking up half a day, starting at 8am and ending at 11m, covering 05km. The route passes through undulating terrains. Altitudinal ranges of 900 meters to 1300 meters will be covered and trekkers obtain glimpses of the lofty escarpments bordering the park watershed and the vast plains down below. Gaur sloth bear, elephant etc. are often sighted along this route apart from birds and butterflies. The trekkers will go with a English speaking guide. Vegetarian refreshments can be had en route. 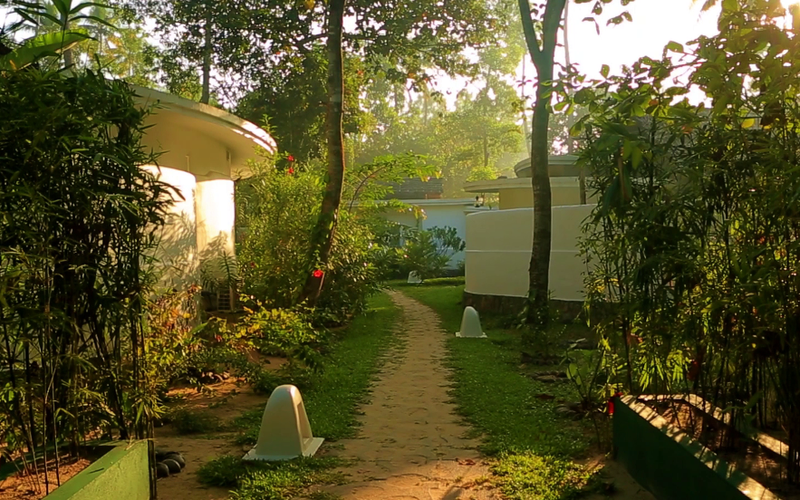 Dive to the picturesque fishermen’s village of Mararikulam and check into your resort. 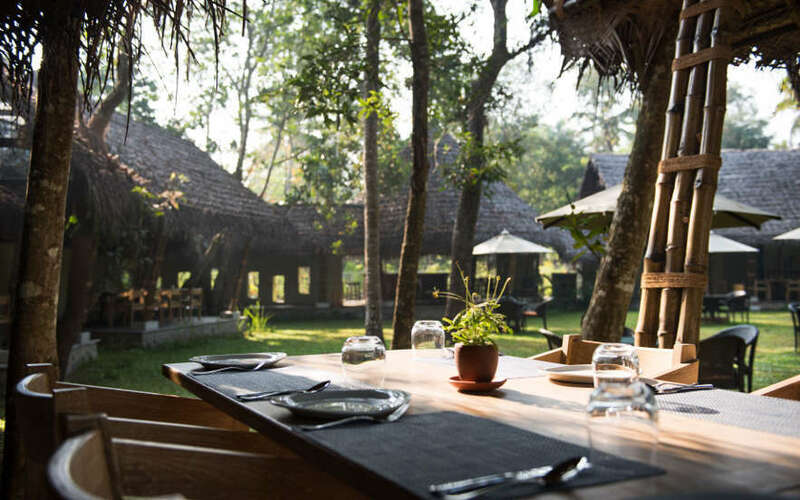 Tucked away inside quiet and lush coconut groves, the resort is surrounded by the pristine white sand beaches of Marari - offering you unparalleled quiet in an astoundingly beautiful setting. Enjoy a day of leisure on the beach. Today you can enjoy a general Ayurvedic full-body massage. Overnight at the Xandari Pearl hotel with a vehicle provided for your transfer. Enjoy a day of leisure on the beach. Overnight at the Xandari Pearl hotel. Departure transfer to Cochin airport to board your return flight with a vehicle provided to drive you to the airport. 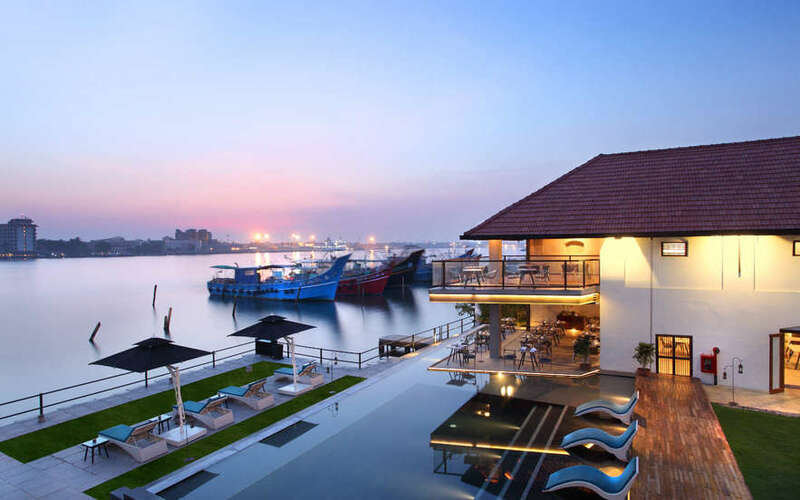 The Xandari Harbour is a restored water-front property located in the heart of Fort Kochi's spice trading district, Mattanchery. Located on the historical ‘Bazaar road’ lined with art galleries, cafes and warehouses filled with spices, this small luxury hotel offers travellers the opportunity to experience history and the best vistas of the sea. 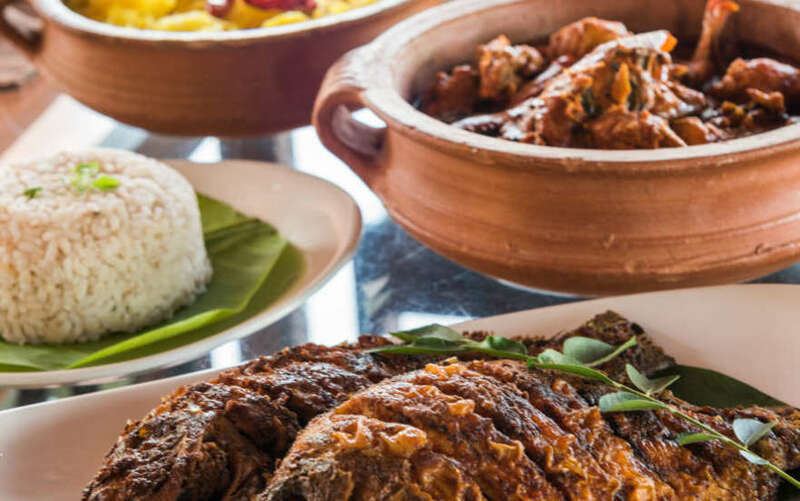 Xandari 51, the hotel's award-winning gourmet restaurant offers one of the best dining experiences in Fort Kochi. 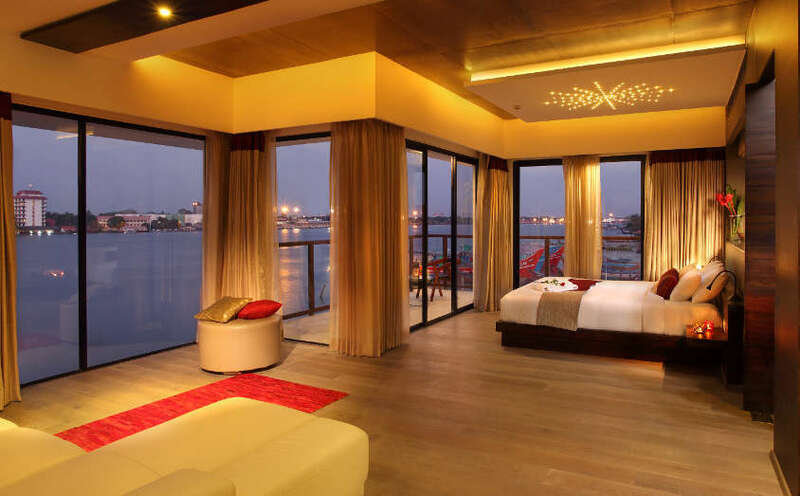 The hotel offers 16 tastefully decorated rooms which includes a suite offering one of the best views of Cochin Harbour and another that offers a peek into historical Bazaar road. Four waterfront rooms offer views of the Harbour with two that have extended patios leading into the water’s edge. All the rooms either provide views of the harbour or have private gardens.